We are pleased to announce new representation in Chile with Cronos Logistica Ltda. With offices in Santiago and 20 employees, the company offer a full range of air, ocean and land services as well as project cargo, customs brokerage, insurance, laboratory shipments and follow ups. Managing Director, Karla Benavente states; "We are a Chilean logistics company dedicated to the international trade and transportation industry with over 30 years of experience in air, ocean and ground freight. At Cronos, we are focused on personalised and dedicated customer service. Since our beginning, customer service has been at the core of our foundation and continues to be. As we well as our expertise in transportation and international shipments, we also act as consultants for our clients to develop custom-made logistic solutions. Our highly professional and skilled staff are ready to assist and we look forward to working with UFO partners." 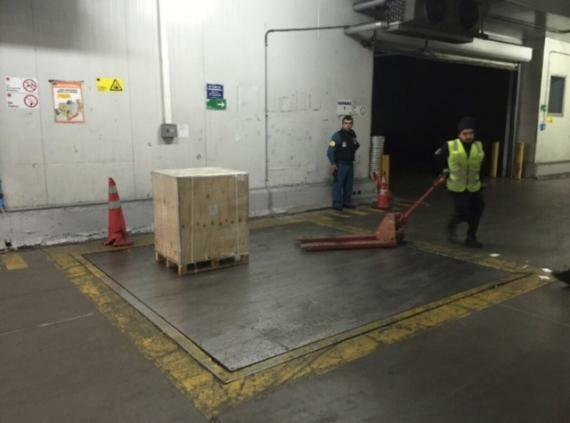 Photographed below is a recent project handled by Cronos of currency shipped from Chile to Paraguay (10tns) and Argentina (17tns). 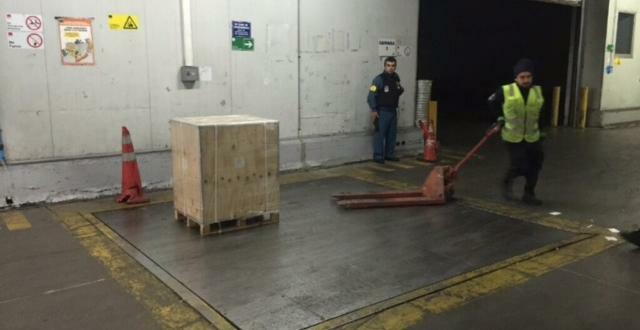 This is the 4th shipment of the kind performed by Cronos. 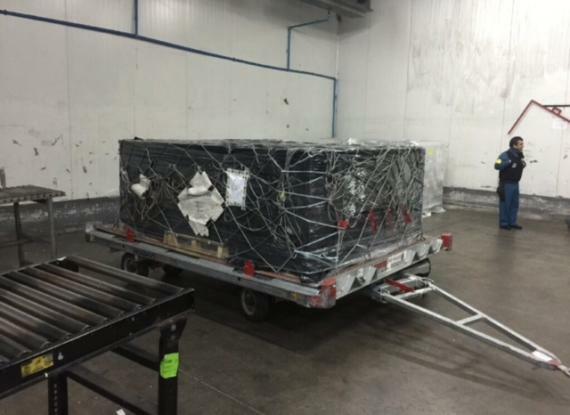 They hired a part-charter from the shipment and also coordinated with DGAC (governmental airport security entity), received the cargo at terminals, and delivered it to the aircraft with guards accompanying at every stage. 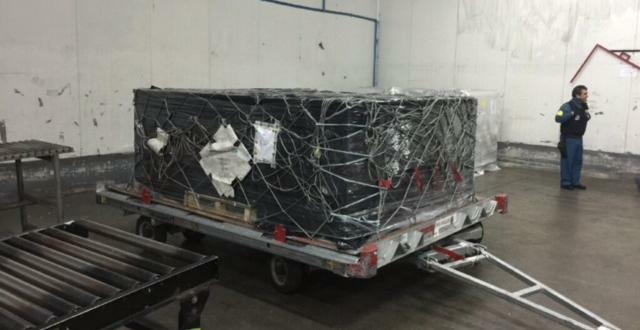 Karla comments; "We needed to stay with the cargo at every moment and due to the nature of the shipment, it must be moved out on the same day it comes into the airport as it is forbidden to stay longer for security reasons".